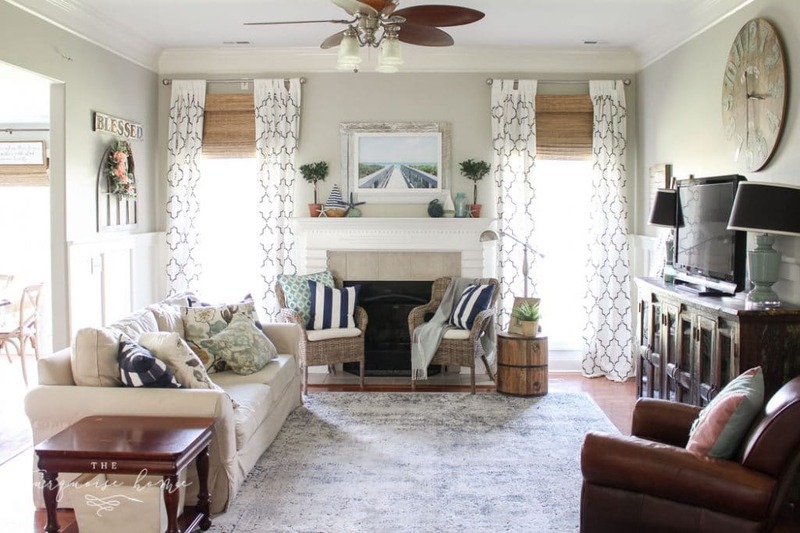 Anytime I post a picture of my living room mantel with the curtains next to it in the photo, then I get questions about where I got my curtains. I feel bad that I have to tell them that I made them myself, because I assume they would rather click a button and order then than do the DIY work to create them on their own. But in fact I did stencil these curtains when we first moved in 6+ years ago. I needed super long curtains on a tight budget and so I turned to our favorite budget-friendly store, IKEA. I bought their Lenda curtain panels at 118″ long for just $35 each. I think they were even cheaper than that back then! I need 4 of them and I don’t think they were more than $100 for the whole thing! Since I didn’t want plain white curtains, I decided to stencil them! You can read the whole tutorial process right here. Six years later, I love them just as much as the day I hung them up. I’ve sat and thought about what I’d replace them with if I ever wanted to do that and I can’t come up with anything. So they stay! Until I find something else that I love that’s budget-friendly, these are staying. I always keep coming back, though, to the fact that I wish I could direct these sweet ladies to a curtain they could just purchase and get the same look in their homes as I have in mine. It’s long overdue, but I finally rounded up some similar Moroccan-style curtain panels that will give you the same feel in your home! 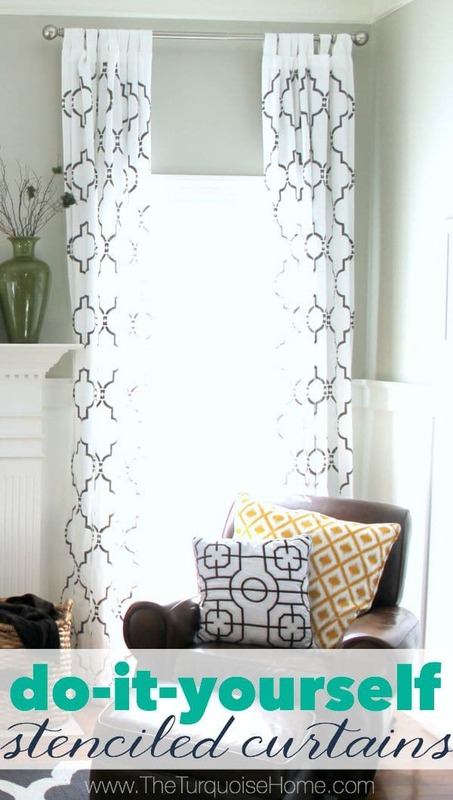 You can call these Moroccan tile patterns, trellis prints or scroll motif. Either way, if you love them like I do, here are some of my favorites! So many of these are $40 or less for a panel and pretty long length, too! They are very affordable. And as I’m writing this Macy’s is having a huge sale, PLUS an extra 20% off with the code FOURTH. These curtains are from Macy’s and the pattern is inverted, but most similar to mine. And they are less than $40 per 108″ panel! Yay!